The contract provides that Schulz, who is currently serving as president and professor of chemical engineering at Kansas State University, will officially commence his initial term as WSU’s new president on June 13. It also stipulates that Schulz and his family will be provided with housing at both the President’s Residence on the campus of WSU Pullman and a condominium in the Seattle area. Schulz’s contract also includes an appointment to the WSU faculty, under which he will become a full professor with WSU’s Voiland College of Engineering and Architecture upon completion of the WSU tenure process. 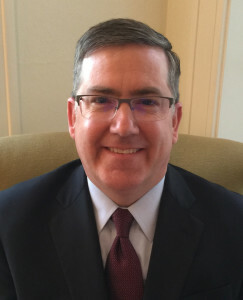 Schulz’s selection as the new president of WSU, which was contingent upon regent’s approval of his contract, was announced by regents on March 25. The announcement followed a phone conversion between Schulz and WSU Regent Michael Worthy, in which Schulz confirmed his continuing willingness to accept the post. He succeeds former WSU President Elson S. Floyd, who served as president of the university for eight years before dying last June following a long battle with cancer. Schulz was selected as the 13th president of Kansas State University in February 2009 by the Kansas Board of Regents. He has been credited with spearheading visionary campus-wide goal-setting intended to move K-State forward to become recognized as a Top 50 public research university by 2025. During his tenure, Kansas State University moved up from the “very high research activity” classification in 2010 to the “highest research activity” in 2015 in rankings by the Carnegie Foundation for the Advancement of Teaching. Schulz also holds the Kansas State University Leadership Professorship. In addition, he is the chair of the NCAA board of governors, the association’s highest-ranking decision-making body. As chair, he helps oversee issues across the association. Before his appointment as president of KSU, Schulz served as vice president for research and economic development, dean of engineering, and director of the Swalm School of Chemical Engineering at Mississippi State University. He has also served on the faculty at Michigan Technological University and the University of North Dakota.